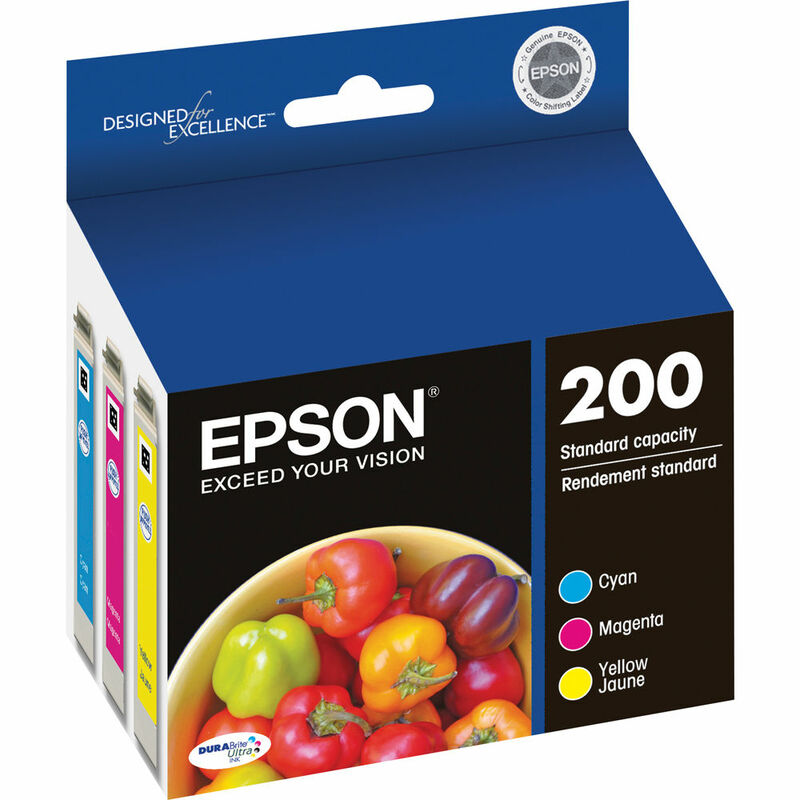 Box Dimensions (LxWxH) 4.7 x 4.4 x 2.65"
T200 Multi-Pack Color DURABrite Ultra Ink Cartridges is rated 4.9 out of 5 by 7. Rated 5 out of 5 by David P. from T200 Multi-Pack Color DURABrite Ink Cart I use only Epson printers based on how well they have worked for me. I think part of the reason they have worked so well is by using only Epson Inks. All I can say is they work great so I am always happy. Rated 5 out of 5 by Tony from Cheap Ink! Finally! Ha! I found a great printer that doesn't require $ ink cartridges! My workforce Epson all-in-one is great (albeit a little slow), but the ink cartridges are cheap! Really! Good color, too. Rated 5 out of 5 by ciddy from very easily ordered How stupid to run out of ink. How smart to order (and in multiples) from B&H and use express shipping! Rated 4 out of 5 by At Home Tech Dad from It's ink Put it in the printer and it worked. I hate the expense, but its a necessary evil. Rated 5 out of 5 by eb from great service from B&H As always good prices and super fast shipping. Thanks B&H!